The OfficeConnect 1920 Switch series is an intuitive Web-based interface for simple customization of network operation. It supports true-stacking, the aggregation switch supporting up to two devices, while the access switches allowing up to four devices, to be logically administered as a single entity, simplifying administration while supporting greater network redundancy. The OfficeConnect 1950 Switch Series models supports both rack mounting and desktop operation. These switches have IPv4 and IPv6 operation, with Layer 2 switching as well as Layer 3 static routing. Other features include: link aggregation to boost link performance; VLANs, Access Control Lists, and 802.1X network login for enhanced security; and three versions of Spanning Tree Protocol (STP) for added network resiliency. 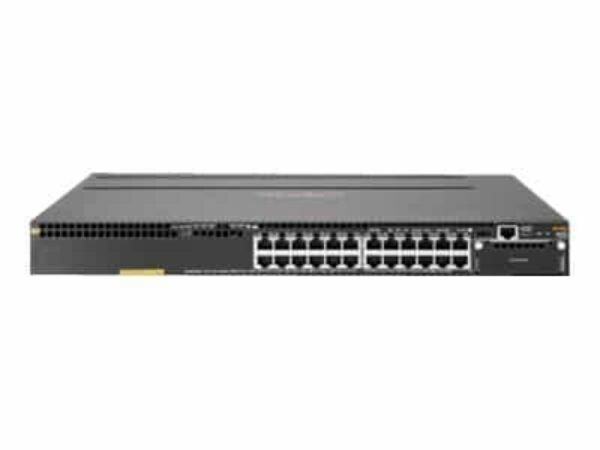 The HPE OfficeConnect 1920 Switch Series has creates a single logical managed unit with up to four HPE OfficeConnect 1920 switches. Balance connections across multiple units with Link Aggregation (LACP) for enhanced network resiliency. Stack using affordable Cat 6a, or long distance fiber, or localized DAC cables. The HPE OfficeConnect 1920 Switch Series allows for easy customization of the switch even by non-technical users. The HPE OfficeConnect 1920 Switch Series encrypts and otherwise protects management sessions through HTTP Secure (HTTPS). Prevents snooping of sensitive management information such as passwords. The HPE OfficeConnect 1920 Switch Series facilitates remote management of the switch, as the device can be discovered and monitored from an SNMP management station. The HPE OfficeConnect 1920 Switch Series provides detailed information for problem identification and resolution and independent primary and secondary operating system files for backup while upgrading. The HPE OfficeConnect 1920 Switch Series provides advanced monitoring and reporting capabilities for statistics, history, alarms, and events and enables traffic on a port to be simultaneously sent to a network analyzer for monitoring. The HPE OfficeConnect 1920 Switch Series synchronizes timekeeping among distributed time servers and clients, keeps timekeeping consistent among all clock dependent devices within the network so that the devices can provide diverse applications based on the consistent time. The HPE OfficeConnect 1920 Switch Series advertises and receives management information from adjacent devices on a network, facilitating easy mapping by network management applications.